Author: Wall, Kathryn R. Set In . . . When a fifth cousin twice removed calls Bay Tanner - a young, recently widowed, financial consultant - from the Beaufort County Jail, it's no accident. Mercer Mary Prescott spent a lot of time and trouble locating Bay on the family tree, and she needs more than bail out of the relationship. What she's really after is a secret she's not willing to reveal-yet. But when Bay generously takes Mercer back to the family mansion of Presqu'isle, she finds that this distant kin comes with a lot of personal baggage-and some very dangerous pursuers. Before Bay can help straighten out Mercer's problems, the mousy young woman disappears. 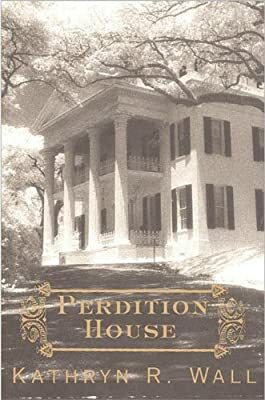 Now, Bay begins a desperate hunt for her "shirttail" cousin through the twisted alleys of the past, from Civil War days to a plantation called Perdition House and to one last deadly fight.